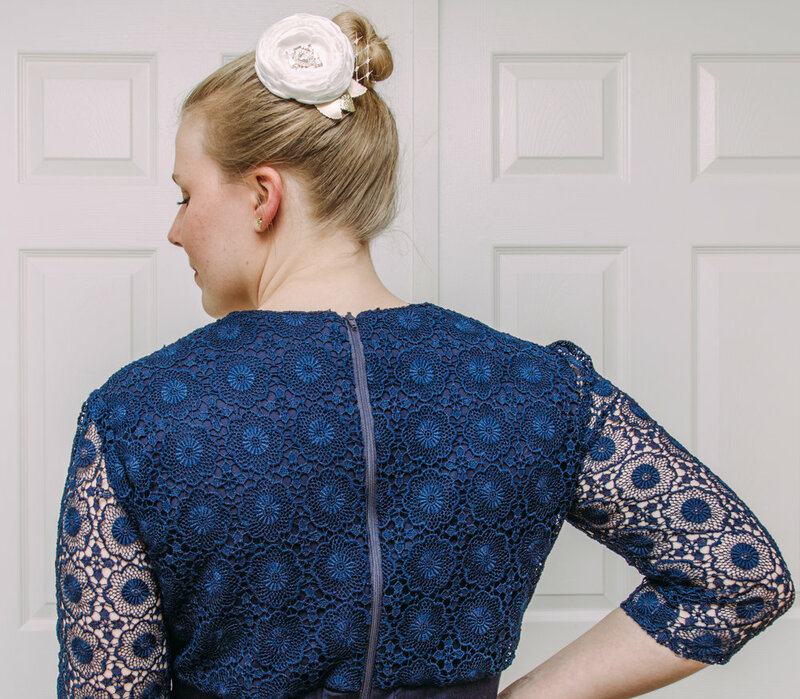 This dress was so lovely to create, from finding the fabric to piecing it together. I loved every minute of it. The lace overlay is gorgeous and the sleeves give it an elegance you just can not deny. To be worn for two weddings, my client was so pleased with the outcome, she had to put it on again when she got home from picking it up. I am so happy to help her illuminate the room with her presence in this beautiful piece. Dresses should be made to be versatile as often as possible. I believe that with this one you can dress it up or down and wear it all throughout the year. Every time you wear a dress it should help you to feel radiant and free. Free to be exactly yourself and comfortable throughout your entire day or event. I know what it feels like to be uncomfortable in your own skin and it helps so much to wear a piece of clothing that helps dissolve those feelings. Enter Moi! I can make sure that your dream dress is the perfect fit for your frame and vision.